DOES IT SMELL LIKE SUMMER TO YOU? After a super hot week here, it certainly feels like it! If summer means hot weather and inevitably, sweat, I don’t want to smell like it. I’d rather smell like some of these new fragrances from the Calvin Klein Summer 2016 Collection. Calvin Klein has launched several new limited edition fragrances for summer and I have been trying out three of them. 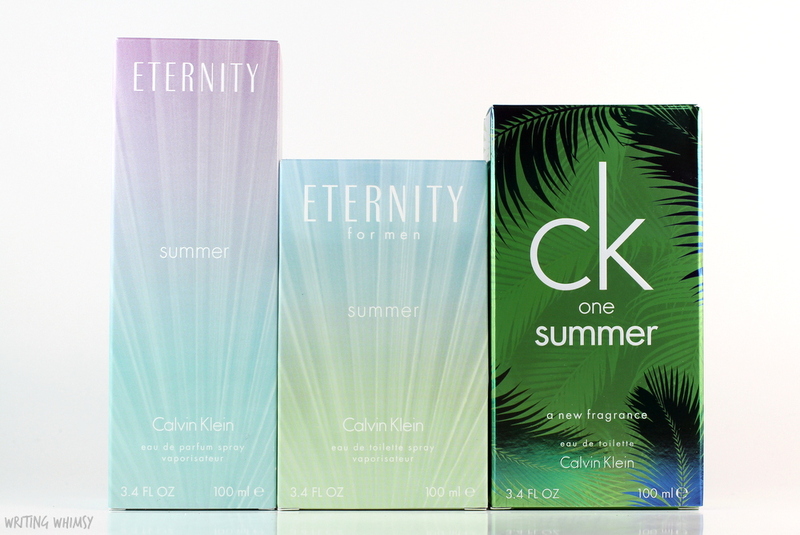 I have the Calvin Klein Eternity Summer, Eternity for Men Summer, and the CK One Summer fragrances. The packaging on all three is quite festive, and I especially love the frosted ombre glass of the Eternity scents, so pretty! My first experience with a Calvin Klein scent was Reveal, and I really love it, so I was excited to try these out. 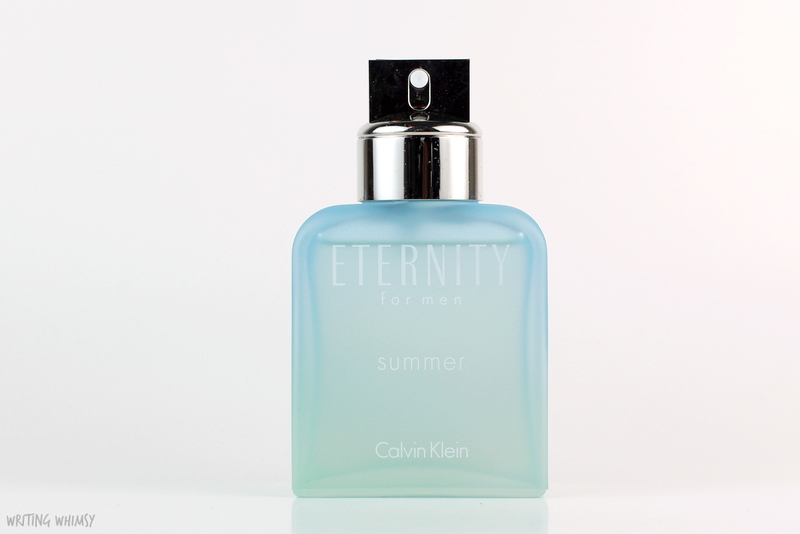 Starting off with Calvin Klein Eternity Summer 2016, once you stop staring at the gorgeous bottle and try this scent, you’ll discover a fresh green floral fragrance with a hint of sweetness perfect for summer. It starts off with notes of palm leaf, pear blossom and bergamot. There’s heart notes of frangipani, jasmine, and tuberose and a base of musk, vanilla and blonde woods. The resulting fragrance is floral with a lot of green to it and a tropical sweetness. To me, this is a fresh flowers opening in the rainforest type scent. There’s also a version for men, which could make a great gift for Father’s Day coming up! 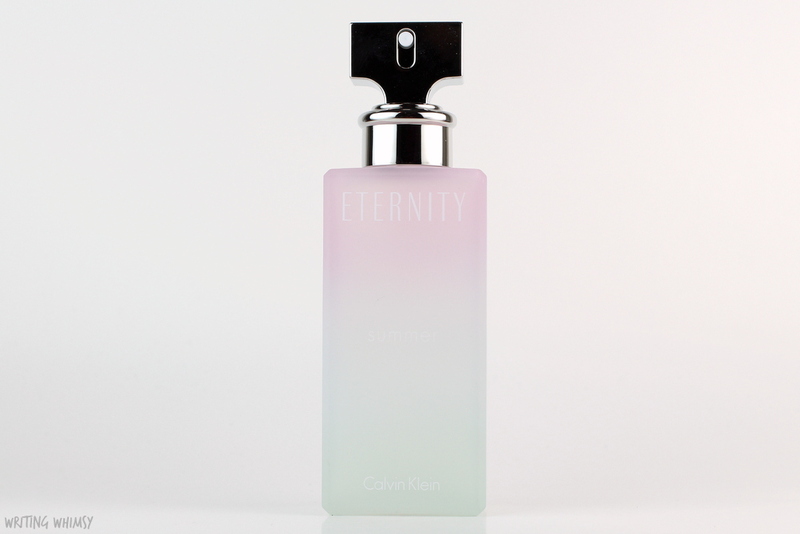 The Calvin Klein Eternity for Men Summer 2016 is salty, cooling, refreshing fragrance with a musky base that could work on women as well if you’re looking for something a bit stronger. It starts of with a fresh citrus blend of lime, cilantro and bergamot. The heart notes are a salty accord, sage and basil, which gives it a bit of an aquatic scent that’s still very staying very cool and fresh. The base notes are cedarwood, amber and musk which mean the scent while the scent stays quite fresh it does get a hint of musk and sweetness over time. 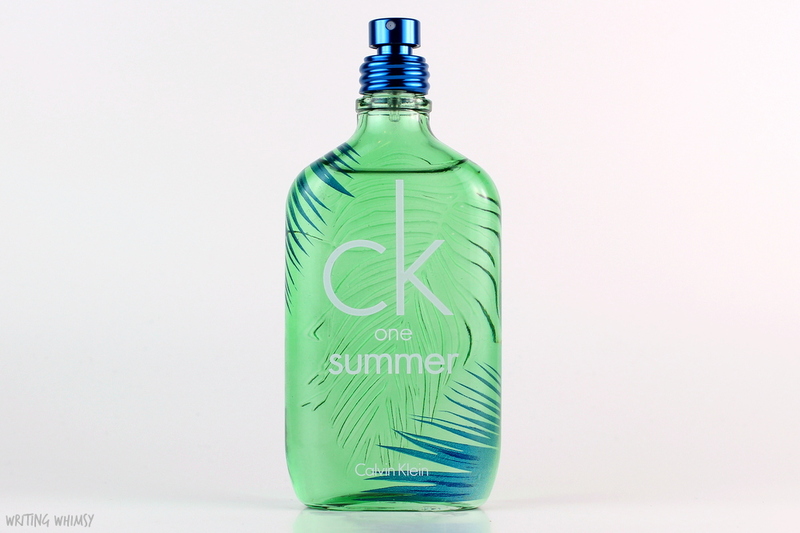 The CK One Summer 2016 fragrance is a fresh citrus scent that’s just bright and delicious for hot weather. The fragrance starts off smelling like a lime mojito with notes of crisp green apple and ginger. The heart of the scent is a bit fruitier, including gauva as well as tiare tahiti and juniper although I find those notes more subtle and just adding a bit of sweetness. Finally, the base includes woodsy notes of cedar and tree moss as well as coconut milk. I really love the opening of this fragrance since it’s so refreshing and I just love lime scents, but as it dries down the cedar becomes a lot more apparent and it’s more woodsy with a hint of citrus. For me this is definitely the kind of scent I would reapply throughout the day. Overall, I can definitely smell the summer in the inspiration behind these Calvin Klein fragrances. These scents are great if you’re looking for something refreshing to wear during the summer months. 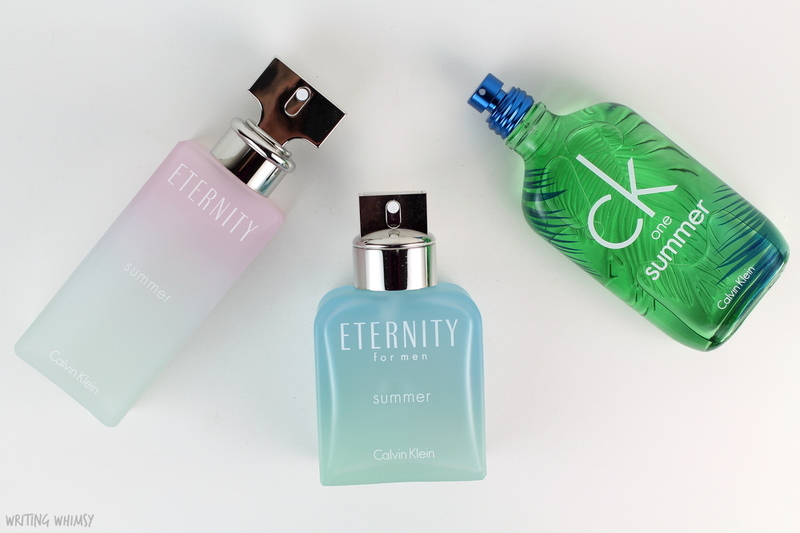 I really love the starting mojito notes of CK One Summer, but my overall personal pick is actually the Calvin Klein Eternity for Men Summer 2016–now I just need to see if my boyfriend will wear it! 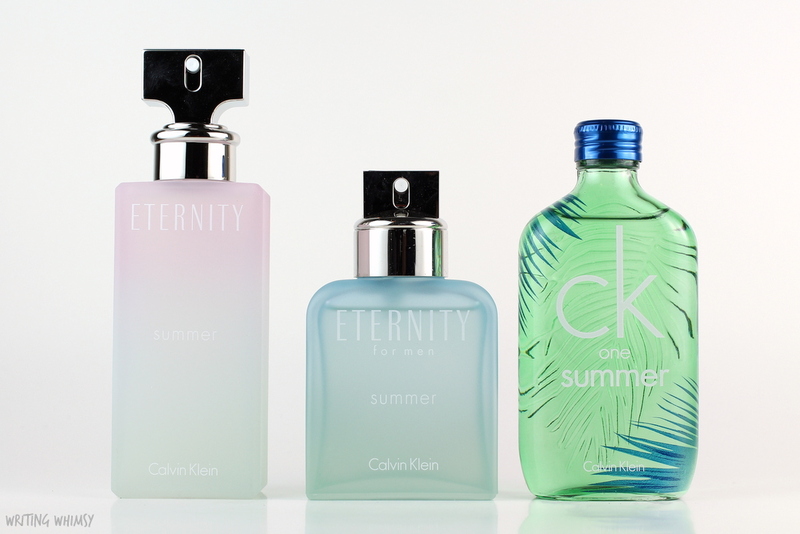 Have you ever tried one of the Calvin Klein Eternity or CK One fragrances? Let me know!